Questions about Kichler Lighting 42390CH? 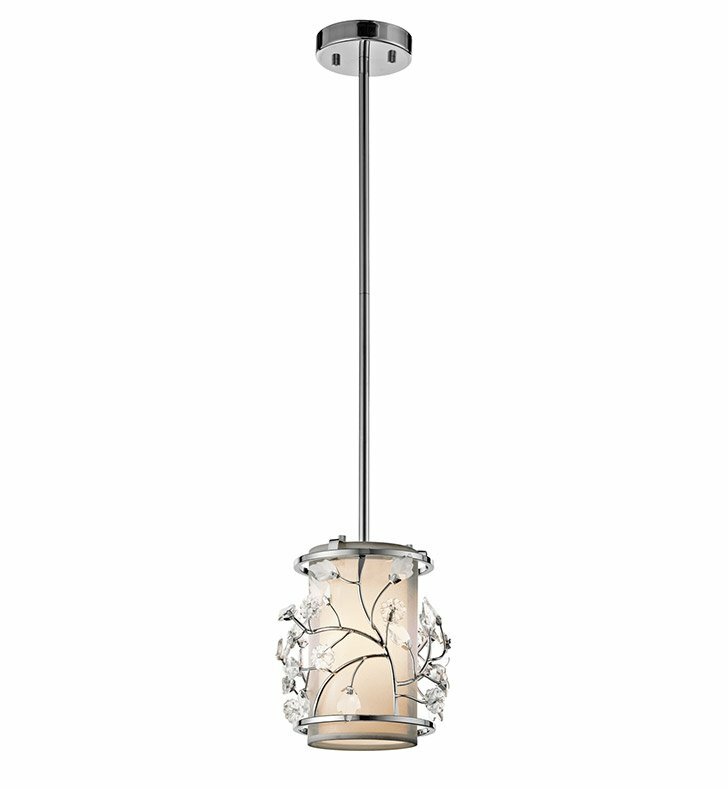 Experience the alluring impression of soft, subtle candlelight with this Chrome finished 1 light mini pendant from the Jardine collection. Its sculptural, delicate flourishes and Satin Etched Cased Opal Glass will create fascinating shapes and a beautiful glow. Dimensions: H 9 1/2" x W 6 1/2"